Marte H S Dahl (b. 1989, NO) is an artist based in Oslo. She holds a BFA from the Academy of Fine Art, Oslo (2018). 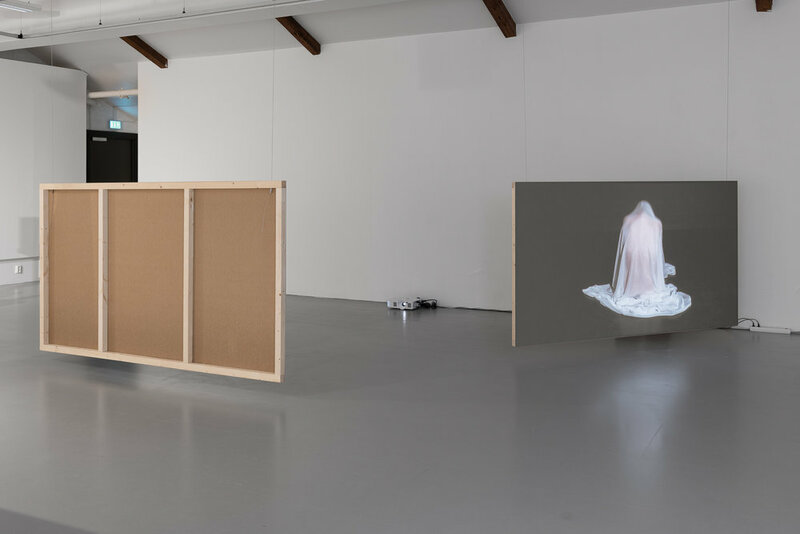 Her works revolve around themes such as the body, movement, material, feminism, honesty and desperation, mostly taking the form of live performance and video. In working intuitively in front of the camera in a clean space, with a few rules or props, she creates a space in the meeting between the object, space, movement and body, allowing anything to happen. She explores how one can be drawn to one’s aversions, using her own as inspiration when working with projects. She has exhibited at Sommerøya Music Festival, Rom for Kunst og Arkitektur, Galleri Ramfjord and Akademirommet.